Plush revolves around the powder room. The poems investigate (often contradictory) concepts associated with the space of the bathroom, such as beauty, ritual, and illness. 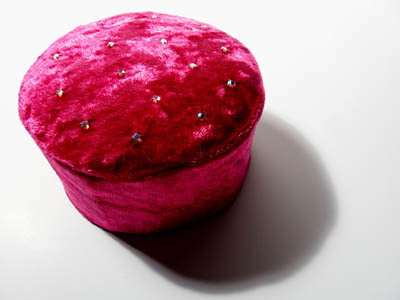 The book presents as an object one might find in a bathroom: the text is encased in a plush powder box, complete with a boa puff. Materials: Cover: crushed velvet, rhinestones, synthetic pearls, ribbon. 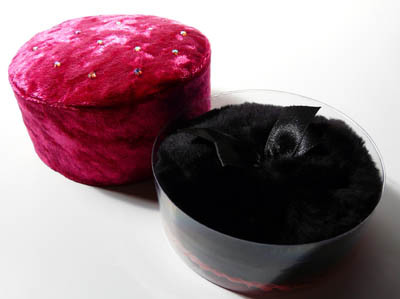 Inside: boa sparkle powder puff.